Search the most up to date listings for Waterfront Homes in the Greater Bay Area by clicking the Links below. Our tools make your search easy by categorizing Waterfront into 2 Areas. 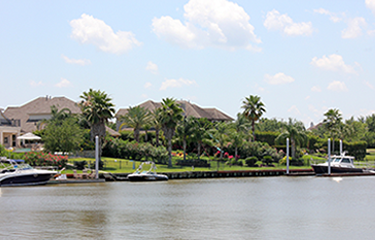 Harris County, or North of Clear Lake, includes the Waterfront communities of: Seabrook, Nassau Bay, La Porte, Clear Lake City, Friendswood and Webster. 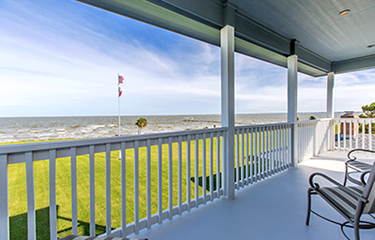 Galveston County, or South of Clear Lake, includes the Waterfront communities of: League City, Kemah and Clear Lake Shores, Bacliff and San Leon. When searching for Waterfront Properties, the first step is to evaluate what Lifestyle and Needs are most important to you and your family. Identify what waterfront activities you enjoy most, whether it be Kayaking, Fishing, Sailing, Recreational Boating, or just a Beautiful View. 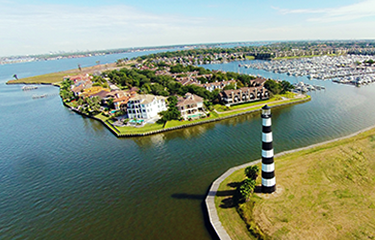 The Greater Bay Area offers several different types of Waterfront Living including Canals, Marinas, Private Lakes, Lakefront on Clear Lake or Taylor Lake and Bayfront on Galveston or Dickinson Bay to name a few. The old adage “Location, location, location” especially carries through to Waterfront Homes so working with an Agent that has detailed knowledge of each area is imperative. For example, if you have a Boat that you want to Dock at your back door, an Agent should know the various water depths of the waterways and the height of area bridges that may affect the ability to get your boat in and out. Having lived in the Greater Bay Area since 1981, Keith Owens and his Team has over 30 years of area knowledge and have helped Buyers and Sellers in every Waterfront Community the area has to offer. Finding a reputable Lender and Insurance Carrier is important regardless of the type of property you’re looking to purchase. However, Waterfront Properties may require different Loan Packages, like Jumbo or Super Jumbo loans, that some Lenders don’t specialize in. Likewise, there are several Insurance requirements that may be unique to waterfront homes like Windstorm or Flood Insurance. It’s also important that you pay attention to Deed Restrictions which may limit the size of Boat Houses, prevent boat trailer storage and other constraints which prevent you from using the property the way you intend. Again, working with a Real Estate Agent that is familiar with various requirements and regulations is extremely important. The Keith Owens Team has an extensive working relationship with a number of Lenders and Insurance Brokers to keep your purchasing process smooth and on track. We are proud to offer each of our clients a list of Select Vendors that can assist you in every aspect of your Sale or Purchase. Living on the Water can be one of the most enjoyable experiences in life. We would like to be part of that. 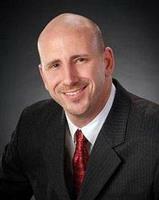 Ensure you have the most qualified and experienced agent by calling or emailing The Keith Owens Team today.